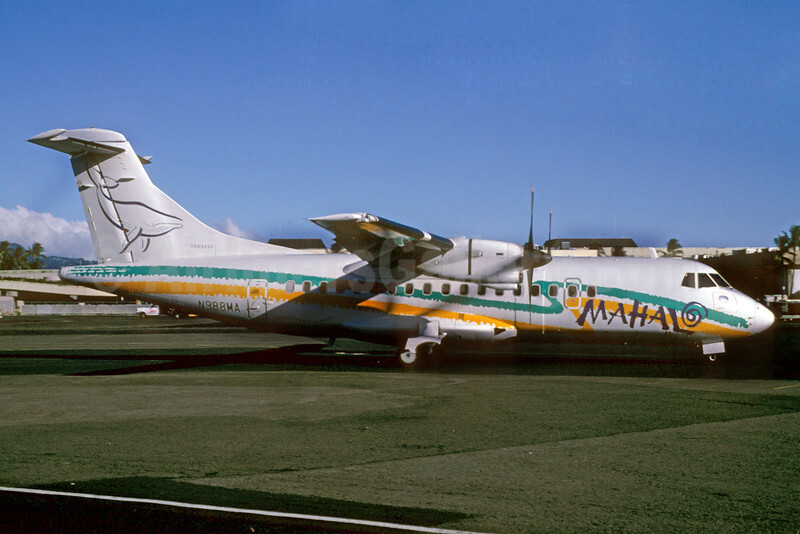 (formerly Island Express Air) (8M/MLH) (Honolulu) 1993 - 1997. Framable Color Prints and Posters. Digital Sharp Images. Aviation Gifts. Slide Shows. Mahalo Air ATR 42-300 N988MA (msn 380) "The Kohola" HNL (Bruce Drum). Image: 102590.